The California grid (CAISO) managed quite well during and after the partial solar eclipse of 21 August, 2017. 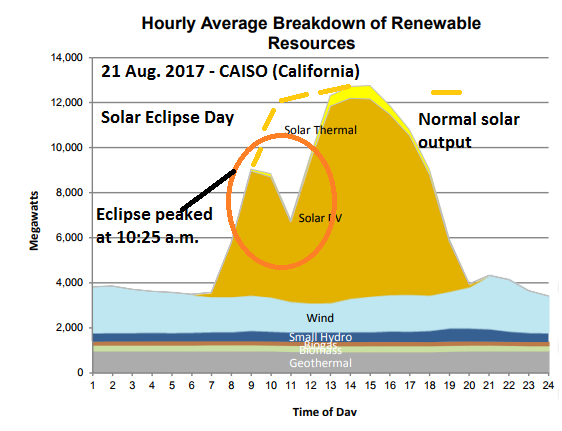 Here in California, the eclipse reached approximately 70 to 75 percent of totality. The skies did turn a slight bit less bright, but not much. There were considerable clouds early in the morning that broke into partly cloudy to clear skies by noon. 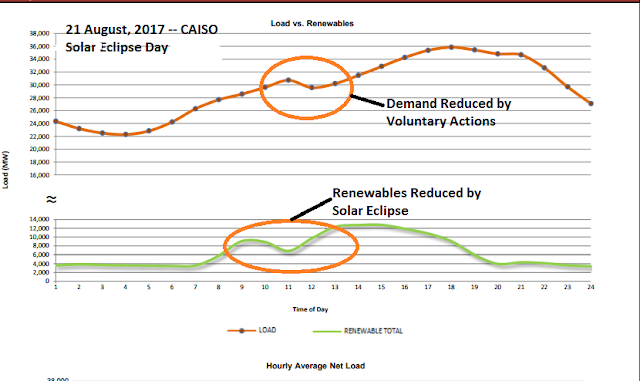 The impact on the state's solar PV generating plants was, as expected, fairly severe. The prediction was for approximately 6-7 MW to decrease as the sun dimmed, then 7-8 MW increase as the sun brightened. The graphs below show the results. 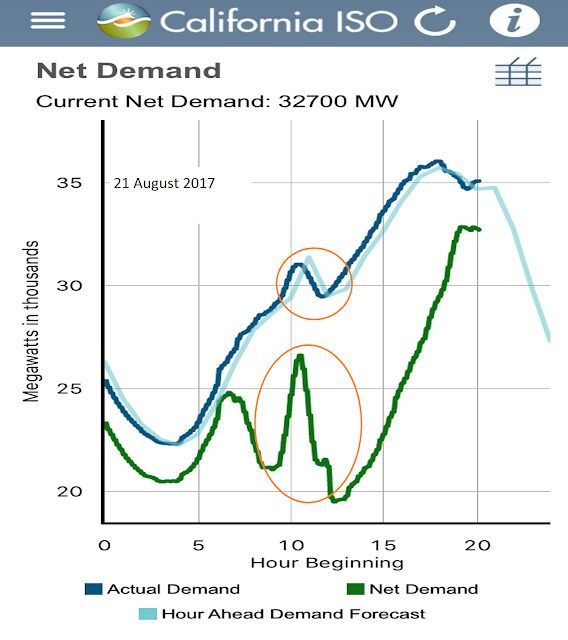 Fast-acting natural gas plants, almost all combined cycle plants, responded nicely and kept the grid healthy.